S 1/c Neil Finney, son of Mr. and Mrs. D.C. Finney, attended Tipton High School; husband of the former Willia Mae Wynn. 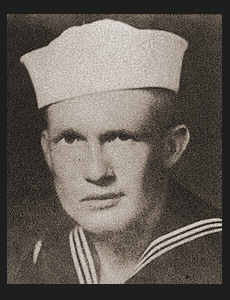 Entered the Navy in 1944, trained in Farragut, Idaho; served in Hawaii, the Philippines, the Marshalls, Saipan, the Carolines, Okinawa, China, Japan. Awarded Asiatic Pacific Ribbon.